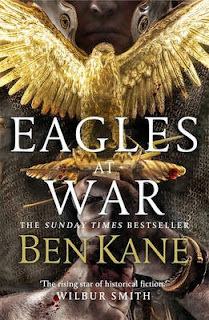 The latest release from Ben Kane that takes readers back to the mighty days of Rome as readers are treated to high octane action, top notch prose and of course heroes that they want to spend time around. However whilst I still love sitting down with Ben’s writing, I did feel that unfortunately this title was a tad predictable with the treachery of a certain character within. Don’t get me wrong, you still get what you expect from a book by Ben, but when you lose some of the mystery surrounding it, you do tend to feel a little cheated. It's not easy finding out you're a Goddess. For Lily McCain, the move from local music journalist to being the incarnation of Mabe, Mother of Mortals was a surprise to say the least. Thrust into a game of gods and monsters, the rules of which she barely knows, one thing is clear: if you have power, someone will try to take it from you. As a reader of a lot of fantasy, I’ve always been left wondering about some authors choice of footwear for their lead characters, not that heels can’t be good but if you’ve got to run and start putting the hurt on someone, a good pair of steel toe cap boots are the way to go in my opinion and that’s just the sort of thinking that Debbie Johnson has gone with, in this her latest book. The characters are fun to be around, have their own type of quirkiness and really stay with the readers imagination as the tale progresses. Back this up with top notch action, a bucket load of twists alongside dialogue that really will give you a world you want to stay in and all round you know that you’re in for a treat. The cold north awaits you ...War is coming to Valeron. From the west, the blood-thirsty Wiccans burn and pillage their way towards the capital - where an ill and ineffectual king is beset on all sides by the scheming of ambitious men. His youngest son, Prince Arran, untested in combat and naive to ways of the world, is sent on a fool's errand - to convince a cowardly lord to honour his oath and defend the realm from its enemies. But the real threat is yet to be revealed ...You are Prince Arran, son of Leonidas and second heir to the throne of Valeron. They call you the ghost prince - the sickly boy who haunts the palace library, filling your head with dreams of high adventure. Now, as the shadows lengthen and danger threatens your beleaguered kingdom, you must finally prove yourself. It is time to take up your hallowed sword, Duran's Heart, and forge your own destiny in a cruel and savage world - one that has no mercy for weakling princes. No happy endings. Will you defy fate and become a great hero of legend? You decide in this epic fantasy adventure - one where you make the decisions. The cold north awaits you ...are you ready for the challenge? 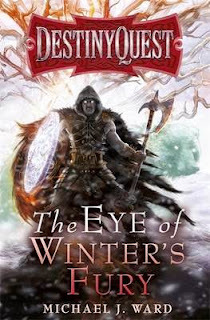 As a huge fan of the fighting fantasy books from yesteryear, it was a joy to be able to try the latest type of books in this genre and to be honest Destiny Quest has been one that has not only fulfilled the gap left by these old favs but usually more than exceeded what I had come to expect. Here in the latest offering from Michael Ward, I have to say that this one felt a little flat compared to a lot of the other ones that have gone before. The story felt not quite on the same level as the others and when added to a set of choices that feel a little bit simpler to follow all round left me feeling a little cheated. Sadly this one has not been for me, although with the fun with the other books in the series then I’ll be returning with the next outing. Death and destruction will bar her way...Kyndra's fate holds betrayal and salvation, but the journey starts in her small village. On the day she comes of age, she accidentally disrupts an ancient ceremony, ending centuries of tradition. So when an unnatural storm targets her superstitious community, Kyndra is blamed. 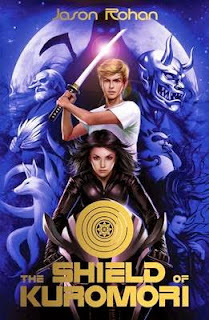 She fears for her life until two strangers save her, by wielding powers not seen for an age - powers fuelled by the sun and the moon.Together, they flee to the hidden citadel of Naris. And here, Kyndra experiences disturbing visions of the past, showing war and one man's terrifying response. She'll learn more in the city's subterranean chambers, amongst fanatics and rebels. But first Kyndra will be brutally tested in a bid to unlock her own magic.If she survives the ordeal, she'll discover a force greater than she could ever have imagined. But could it create as well as destroy? And can she control it, to right an ancient wrong? With George R. R. Martin's Game of Thrones now a huge TV success, fantasy fiction has never been more popular. And these books are traditional fantasy at its very best. To be honest this really wan’t a book that I enjoyed and the main reason for that was that I really didn’t gel with the principle character, they felt flat, almost as if they were 2d and without being able to get a firm grip or even a literary friendship with the character really leaves you on the out from the start. As such you don’t care about the events that unfurl, you don’t worry about the dangers that the characters are in and above all else it really makes the book a struggle to read. Add to this a lack, in my opinion of not only pace but solid prose and all round it’s a series I won’t be returning to any time soon if ever. THE BATTLE TO SAVE HUMANITY HAS BEGUN. Off the coast of Antarctica, a research vessel discovers a mysterious structure buried deep within an iceberg. Entombed for thousands of years, it can't possibly be man-made. 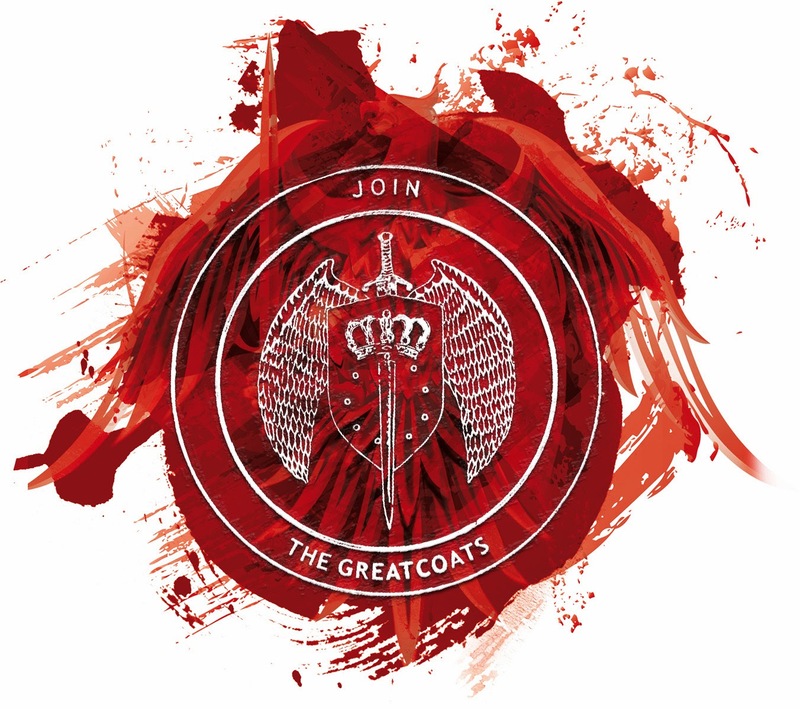 But a secretive and ruthless cabal think they know what it is...and what it means. The Immari have spent millennia preparing for the return of humanity's ancient enemy. Faced with an extinction-level threat, they believe mankind's only chance of survival will mean sacrificing 99.9% of the planet's population. It's a price the Immari are prepared to pay. Geneticist Kate Warner and intelligence agent David Vale may have a chance to avert the looming catastrophe, but only if they can decode the secrets of the Atlantis Gene and unlock the truth about humanity's origins. Whilst I do love to spend time with a good thriller, there are times when you find yourself wondering what the hell happened and sadly left wondering how the book managed to get published. 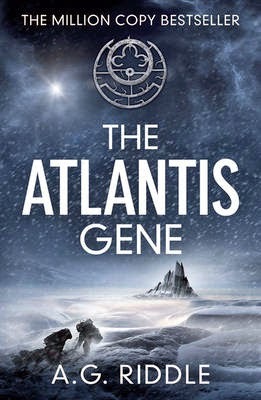 For me, this is one of those books as to be honest with you, I felt that this book was a little bit too predictable, had way to many coincidences within and when added to a huge amount of conspiracy theory alongside Aliens, huge cover ups and of course the obligatory Nazi’s. All round, it felt convoluted, badly written and all round was a book that I really had to dig deep to finish, so much so that I wish that I could get the time I spent on this book back. A LONE AGENT. AN UNIMAGINABLE CONSPIRACY. UN covert negotiator Yael Azoulay went rogue in Geneva and nearly lost her life. Her physical wounds are healed, but she will never be able to forget what happened. 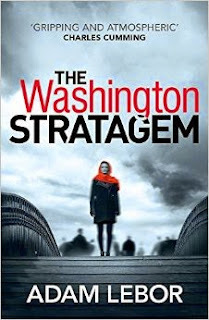 Now back in New York, Yael uncovers a chilling conspiracy whose end game is a devastating new war in the Middle East. But as Yael draws closer to the truth, she is forced to confront the ghosts of her past. As the few certainties of her life begin to crumble around her, a terrifying truth is laid bare: Yael has enormously powerful enemies who neither forgive, nor forget. 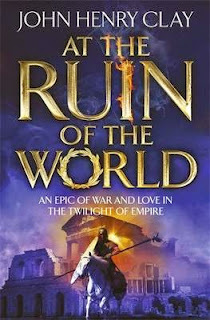 The third book in Jonathan’s Carnivia trilogy and one thing I really tend to love is getting a whole tale in one book without the worry of forgetting what’s gone before. I love a good crime mystery and when you throw the mucky side of dark political machinations into the mix to muddy the waters you know that there’s going to be plenty of twists and turns. Back this up with a murder story that has plenty to keep you guessing, an author who loves to play tircks upon the reader with a good amount of sleight of hand and all round it was a tale that I loved to not only spend time with but one that kept me thinking long after the final page was turned. As you'll see from the footage, its looking pretty swish and whilst we play on the Xbox rather than the PS4, we know that we're going to be in for a real treat. 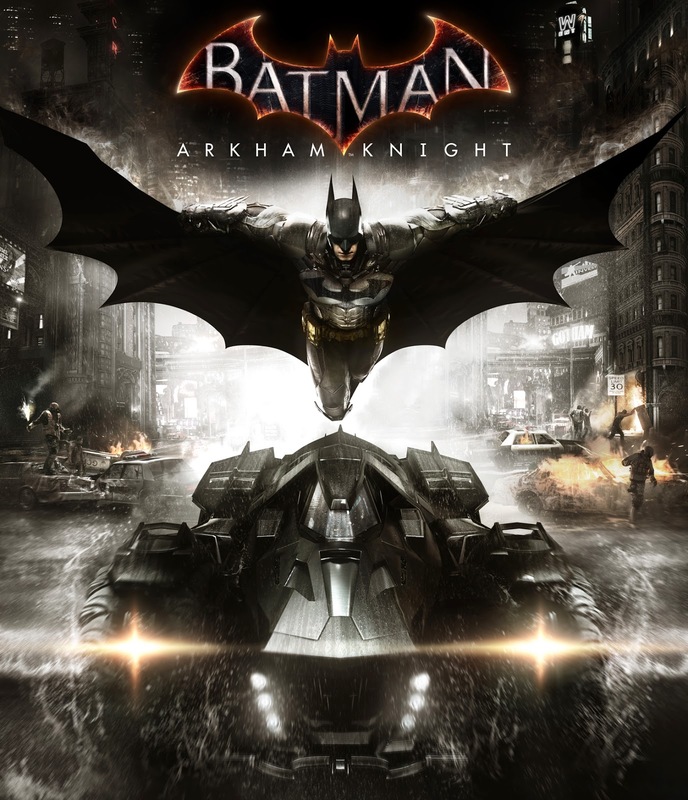 Hopefully you'll be counting down as we are until we become the Bat. So see you all soon, same bat time, same bat channel. When an oil rig off the Gulf of Mexico digs too deep, a torrent of nightmares is unleashed - the creatures of legend, always thought to be figments of our imagination, are now a very real threat to the survival of humankind. Safety worker Dave Hooper has the hangover from hell, and the last thing he needs is an explosion on his oil rig. But this is no accident, and despite the news reports, terrorists aren't to blame for the carnage. The rig is swarming with monsters. 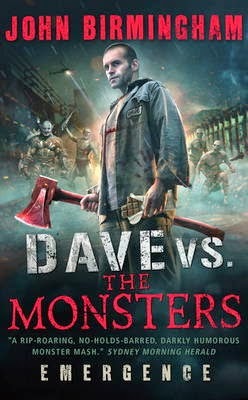 As he fights to save his co-workers from the ravenous demon horde while holding down last night's tequila, Dave is suddenly transformed from a foul-mouthed, overweight, booze-soaked slacker into something else entirely. An honest-to-goddamn monster slayer. Ah, a new type of Urban Fantasy where the weird and wonderful creatures from the dark re-emerge into the light to face mankinds hero, oil rig worker Dave. OK so its not your normal UF but when you have an author that brings a realistic hero to the fore and gives him a weapon of legend (or perhaps soon to be) readers are taken to another world as events unfurl and the current timeline changes. Its definitely dark, has some light moments within but it’s the humanity of our hero that really strikes a chord with readers. Add to this solid prose as well as a solid supporting cast all round generates a tale that is going to be a solid start to what I feel will be a great series. To be honest when I want a thriller, I want to be kept on the edge of my seat right the way through. I love being in the middle of the excitement and whilst this book promised everything I love, it was title that didn’t supply me with the octane I was expecting. 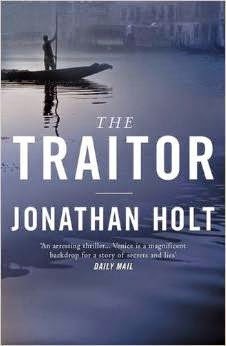 Don’t get me wrong it was an OK read but for me it was more of a mystery than a Thriller with huge lulls in the pace throughout. 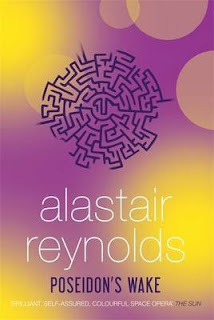 The characters within were OK, the prose middle of the roadish and all round wasn’t a title that, for me, stood out from the masses of others out there. Sadly for me, not a title I’ll be returning to any time soon and sadly Adam will be further down my TBR pile. This novel is a stand-alone story which takes two extraordinary characters and follows them as they, independently, begin to unravel some of the greatest mysteries of our universe. Their missions are dangerous, and they are all venturing into the unknown ...and if they can uncover the secret to faster-than-light travel then new worlds will be at our fingertips. But innovation and progress are not always embraced by everyone. There is a saboteur at work. Different factions disagree about the best way to move forward. And the mysterious Watchkeepers are ever-present. Completing the informal trilogy which began with BLUE REMEMBERED EARTH and ON THE STEEL BREEZE, this is a powerful and effective story. Alastair returns with another cracker and with a solid mix of action, plot line and of course technology readers are in for a treat between the pages of this title. 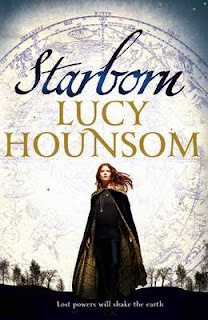 Add to this a character that I really enjoyed spending time around, a good few twists and dialogue that really worked well to further the story and all round I was a very happy reader. Oswald de Lacy was never meant to be the Lord of Somerhill Manor. 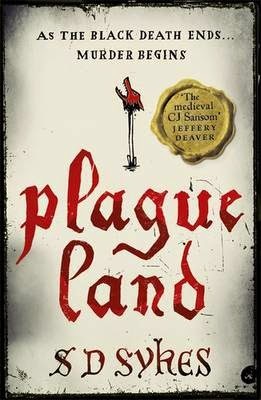 Despatched to a monastery at the age of seven, sent back at seventeen when his father and two older brothers are killed by thePlague, Oswald has no experience of running an estate. He finds the years of pestilence and neglect have changed the old place dramatically, not to mention the attitude of the surviving peasants. Yet some things never change. Oswald's mother remains the powerful matriarch of the family, and his sister Clemence simmers in the background, dangerous and unmarried. 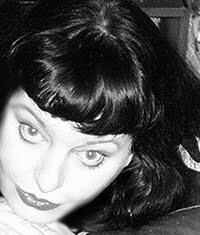 Before he can do anything, Oswald is confronted by the shocking death of a young woman, Alison Starvecrow. The ambitious village priest claims that Alison was killed by a band of demonic dog-headed men. Oswald is certain this is nonsense, but proving it - by finding the real murderer - is quite a different matter. Every step he takes seems to lead Oswald deeper into a dark maze of political intrigue, family secrets and violent strife. And then the body of another girl is found. SD Sykes brilliantly evokes the landscape and people of medieval Kent in this thrillingly suspenseful debut. I love a book that makes the readers ask questions as well as giving you a glimpse into the past and that’s exactly what this title does for the reader. Hidden within this gem of a book is a tale of murder, a principle character unprepared for the life he is about to undertake and when added to those who would abuse power warring against what is right, it creates a tension that will keep the novel turning throughout. The prose is solid with dialogue that furthers the story but for me the real triumph is the principle character who I not only learned to love fairly quickly but was one I wanted to see succeed in the position for which he had absolutely no training, leaving him to hit not only the floor running but having to juggle a good few issues at the same time. All round a cracking read and a title that I hope will be expanded into a series. Top notch. 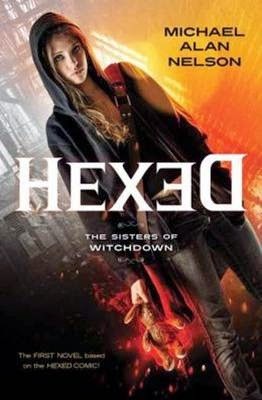 THE FIRST NOVEL BASED ON THE HEXED COMIC! I love books that try something not only new but also quite novel and whilst this is based on a graphic novel series (by the author) I’ve not had the pleasure of reading them so this was to be my first foray in Michael’s work. 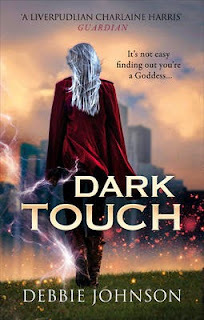 What the book delivers is a title that has solid worldbuilding, a touch of Gaiman’s Neverwhere and when added to storytelling that just trips off the page, generates a story that is quite addictive. Back this all up with a lead character that has many facets for the reader to not only associate with but gives them a tale that old and young readers alike with enjoy and all round I have to say that I’m not quite a fan. A.D. 448. The Roman Empire is crumbling. The Emperor is weak. Countless Romans live under the rule of barbarian kings. Politicians scheme and ambitious generals vie for power. Then from the depths of Germany arises an even darker threat: Attila, King of the Huns, gathering his hordes and determined to crush Rome once and for all. In a time of danger and deception, where every smile conceals betrayal and every sleeve a dagger, three young people hold onto the dream that Rome can be made great once more. But as their fates collide, they find themselves forced to survive in a world more deadly than any of them could ever have imagined. What can they possibly do to save the Empire, or themselves, from destruction? Whilst a lot of historical authors tend to focus on Rome at the height of its power John Henry has created a tale where the ancient state is close to collapse just prior to the rise of the Holy Roman Empire. Here within this book readers are thrust into this turbulent time where living is hard and death is easy as we follows the lives of four principle characters over a period of their lives. Its heart wrenching in places, gives the reader a chance to sit back and see how the world changing events unfurl as each seeks to survive and further their own ideals/policies and by the culmination of each generates repercussions that history will take note of. 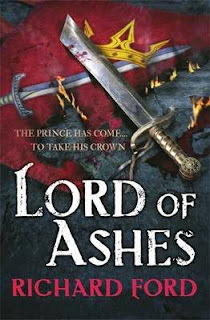 Its definitely a book that was a pure pleasure to sit back and read with an author who not only clearly loved his subject matter but presents it in such a way that you can’t help but sit there glued to the events and when you add characters that you care about all round gives you a new series that will stay with readers long after the final pages are turned. A definitely joy to read and a world I’ll definitely be returning to in the future. It's the eve of the 22nd century and the beginning of the end. Humanity splinters into strange new forms with every heartbeat: hive-minds coalesce, rapture-stricken, speaking in tongues; soldiers forgo consciousness for combat efficiency; a nightmare human subspecies has been genetically resurrected; half the population has retreated into the ersatz security of a virtual environment called Heaven. And it's all under surveillance by an alien presence that refuses to reveal itself. Daniel Bruks has turned his back on it all, taking refuge in the Oregon desert. As an unaugmented, baseline human he's an irrelevance, a living fossil for whom extinction beckons. But he's about to find himself an unwilling pilgrim on a voyage to the heart of the solar system that will bring the fractured remnants of mankind to the biggest evolutionary breakpoint since the origin of thought. 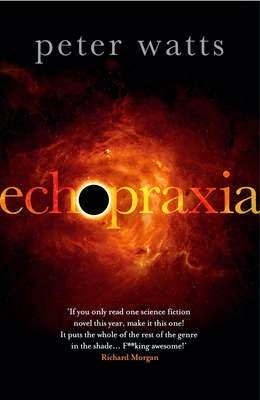 'If you only read one science fiction novel this year, make it this one!...it puts the whole of the rest of the genre in the shade...It deserves to walk away with the Clarke, the Hugo, the Nebula, the BSFA, and pretty much any other genre award for which it's eligible. It's off the scale...F**king awesome!' Richard Morgan. 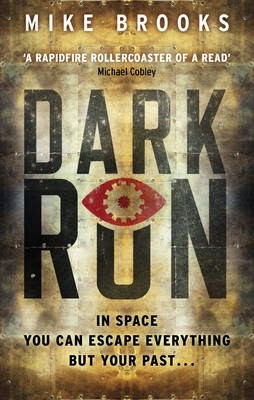 'State-of-the-art science fiction: smart, dark and it grabs you by the throat from page one' Neal Asher. OK, this is the second book by Peter Watts in his Firefall series and to be honest one that I found a little flat compared to the original release which for me I found distracting. Firstly I wasn’t a huge fan of the principle character and that always makes a book a struggle to read when I don’t feel that I have that personal connection as I really don’t care if they live or die and whilst I loved the concepts that stretched evolution I thought that it was well planned, especially as with mankind’s dabbling there are some very serious repercussions. Add to this some dialogue that felt fairly flat and almost as if it dragged and all round I really wasn’t a fan. Sadly for me, its not a series I’ll be returning to any time soon at the moment although if the mood takes you for some serious Science Fiction technological modifications then you will more than likely enjoy it. Whilst a lot of Science Fiction titles spend their time in the far flung future there are a few that are set in a timeline that we can actually see within our own lifetime. What this title from Mike Brooks does is not only take the human experience into this future but allows the reader to see that no matter how much we think we change essentially we’re still the same beings we’ve always been with a fair few controlling the masses. It’s a book that makes readers think, has a cracking plotline, top notch prose and perhaps best of all a kickass plot that really does keep you glued as you see how the characters interact in a universe where we have reached for the stars with more ambition than ability as those who’ve journeyed eke out a hard existence. Throw into the mix a mismatched crew of supporting characters that keep the story moving as well as a pastas alluded to and all round it’s a reading experience that is a hell of a lot of fun. Magic. 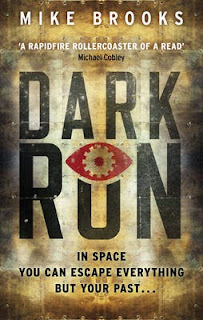 Science meets Myth when ogres armed with high-tech weaponry steal a huge telescope as part of an insane plan to cast the world into permanent darkness. With global catastrophe looming, Kenny and Kiyomi take the fight to the enemy, even if it means going out of this world. But all is not well between the friends. Kiyomi's behaviour is growing increasingly erratic and it soon becomes clear that her life - and her humanity - are in danger. Kenny is faced with an impossible choice - does he save his friend or fulfil his duty? I llike to spend my time reading and whilst I’ve always had a love of reading trying to find books that will appeal to young readers, so I can, at times, be found reading some YA titles so that I can pass the torch on. Whilst this is Jason’s second novel, I found it quite easy to get into, I loved the way that the two principle characters give each other strength and whilst you’d think that it was primarily a book for boys, there’s enough here to appeal to the female market as well. All round a good bit of fun and a title that I was pleased that I took the time to read. Add solid adventure into the mix and solid dialogue and there’s plenty here to hook your young reader in a big way. The 2007 disappearance of three-year-old Madeleine McCann from her bed in Portugal touched millions around the world, and has aroused sometimes dark controversy. The years pass, but this most emotive of cases still makes headlines worldwide. Award-winning authors Anthony Summers and Robbyn Swan have written the first reliable, independent account - drawing on in-depth interviews and rigorous analysis of both the Portuguese and British police investigations. 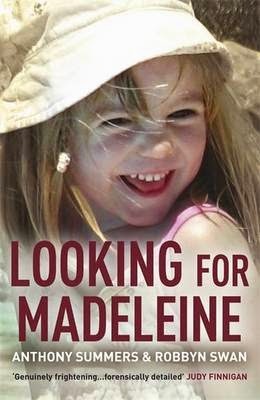 Are we closer now to the truth about Madeleine's disappearance? Was the child abducted, or did something else happen? A senior officer on the continuing British police probe told the authors after the first edition of this book was published: 'The case is solvable'. 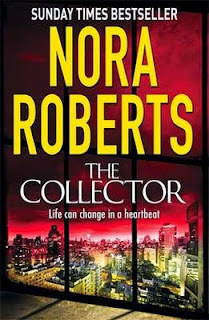 I don’t know if currently I’m just in a funk but recently it feels that I’ve gone through so many titles that haven’t had maximum enjoyment from and left feeling a bit cheated and that’s the same for this, the latest book from Nora Roberts. Back this up with prose that felt quite lack lustre and dialogue that felt flat rather than the usual reader friendly snappy type that she’s known for an all round I felt more than a little cheated. Great Scott, its a scary world out there and now with transdimensional transportation, the world of lego is in a huge amount of trouble. We can't wait to see what it brings and with the latest trailer showing that Doc Brown and Marty McFly will also be available its going to be quite a journey. My only disappointmens so far is that it doesn't look like you'll get that mysterious glowing box to house the lego in. Other than that we can't wait. The trip of their dreams becomes the holiday of their nightmares: DAY FOUR is Sarah Lotz's extraordinary, unmissable follow-up to the book that made headlines around the world, THE THREE - perfect for fans of The Shining Girls, The Passage and Lost. Four days into a five day singles cruise on the Gulf of Mexico, the ageing ship Beautiful Dreamer stops dead in the water. With no electricity and no cellular signals, the passengers and crew have no way to call for help. But everyone is certain that rescue teams will come looking for them soon. All they have to do is wait. That is, until the toilets stop working and the food begins to run out. When the body of a woman is discovered in her cabin the passengers start to panic. There's a murderer on board the Beautiful Dreamer...and maybe something worse. Ok the second book by Sarah Lotz and whilst its billed as the sequel to The Three it’s a title that is only based in the same world rather than a follow on from the original. Whilst the change of prose was OK, I did leave wondering why the author changed her writing style from first to third person when it had worked so well with the original. Don’t get me wrong, the book si swell written and I loved the way that the description of the Cruise ship came across but for me the pace was sadly lacking for a certain amount only to speed up the closer to the end we got leaving me thinking that I’d have been happier as s reader if a certain amount had been glossed over to concentrate more on the build up. All round, it is a solid enough title however at the end of the day, I was left feeling a little cheated with the book almost as if deadlines interrupted and the author didn’t have enough time to polish the book to the standard of Three. It is OK but at the end of the day following on from a successful release has to be hard for any writer. Here’s hoping that Sarah’s next book has a little extra time. They call her many things - a research project, a test-subject, a specimen.An abomination. 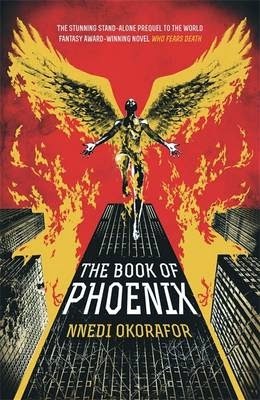 But she calls herself Phoenix, an 'accelerated woman' - a genetic experiment grown and raised in Manhattan's famous Tower 7, the only home she has ever known. Although she's only two years old, Phoenix has the body and mind of an adult - and powers beyond imagining. Phoenix is an innocent, happy to live quietly in Tower 7, reading voraciously and basking in the love of Saeed, another biologically altered human. Until the night that Saeed witnesses something so terrible that he takes his own life. Devastated, Phoenix begins to search for answers - only to discover that everything that she has ever known is a lie. Tower 7 isn't a haven. It's a prison. And it's time for Phoenix to spread her wings and rise. Spanning contents and centuries, The Book of Phoenix is an epic, incendiary work of magial realism featuring Nnedi Okorafor's most incredible, unforgettable heroine yet. I’ve had the pleasure of reading Nnedi’s work before and for me she is an author who always manages to bring a beautiful story to the reader. The descriptions are wonderful and with top notch prose as well as characters that you want to spend time around, all round generates a tale that is nigh impossible to put down. Add to this an identifiable writing style and an overall arc that will make you smile as well as believe and you really can’t ask for more. An absolutely cracking title and one I’m recommending to a good few others. FRANCE: 1356. Ten years ago, the greatest army in Christendom was slaughtered at Crecy when Thomas Blackstone and his fellow archers stood their ground and rained death on the steel-clad might of French chivalry. Blackstone left that squalid field a knight. Now, Blackstone commands a war band and has carved out a small fiefdom in northern France. But the wounds of war still bleed and a traitor has given the King of France the means to destroy first his family, and then the English knight himself. As the traitor's net tightens, so the French King's army draws in. Blackstone will stand and fight - in pitched battle and in single combat. He will defy his friends, his family and his king. 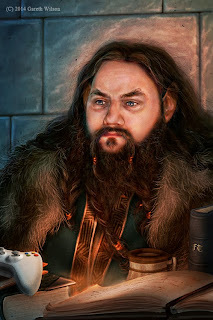 He may yet defy death, but he can't defy his destiny: BLACKSTONE: MASTER OF WAR. 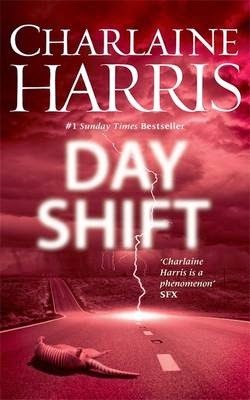 Whilst I’ve dearly loved a lot of Charlaine’s work there is something about this Midnight series that just doesn’t work for me. The sentences feel stunted, the characters flat and all round left me feeling that this was a person writing under a famed name only slightly changed. 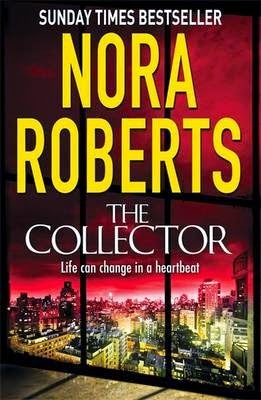 For me as a reader I disliked the characters, hated the prose and all round felt more than a little cheated by spending quality reading time on a book that let me down. Sadly a series I won’t be reading any more titles in and here’s hoping that as a reader that the next set of texts by Charlaine will make up for my loss of trust. 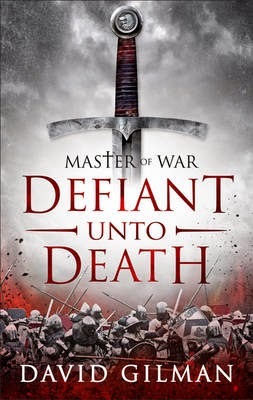 The third novel in Richard Ford's magnificent fantasy series has enough thrills, valour, guts and glory to satisfy any die-hard fan of David Gemmell and Joe Abercrombie. FIGHT TO THE DEATH...The queen of Steelhaven has grown in strength. Taking up her dead father's sword, she must defend the city from the dread warlord Amon Tugha and his blood-thirsty army now at the gates. A vicious, unrelenting four-day battle ensues, the most perilous yet...OR BOW TO THE ENEMY No side is immune from danger as all hell breaks loose, with the threat of coups and the unleashing of the deadliest and darkest magick. Loyalty, strength and cunning will be put to test in the quest for victory. What fate awaits the free states? I’ve pretty much enjoyed this cracking series by Richard Ford since I picked up the original and with each successive novel the author has not only managed to help grow the world in wonderfully vivid colour but also presented characters that expand with it. 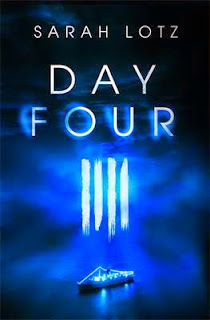 Its definitely a great piece of solid writing, the prose is sharp and when you get to the action sequence s they really take your breath away. All round a series that I can’t get enough of and one that will be at the top of my TBR pile for quite some time to come. After being gone for five years, during which he suffered unimaginable ordeals, billionaire Oliver Queen returned home to Starling City with a mysterious agenda and a set of new skills that he uses in a war on crime in this hard-hitting action series. Reinventing the DC Entertainment character for a modern-day audience, the Arrow is not a super hero ... but a hero -- every bit as formidable as the criminals he's hunting. Determined to right his city's wrongs and sworn to bring justice to those who have corrupted it, Oliver (aka The Arrow) -- with the help of his iron-fisted right hand, John Diggle, the tech-savvy Felicity Smoak and the newest member of the team, Roy Harper -- narrowly defeats the vengeful Slade Wilson, his onetime ally and mentor on the island of Lian Yu. But like all wars, there are casualties. Sacrificing herself for her children, Moira Queen falls at the hand of Deathstroke, sending Oliver's sister, Thea, into self-imposed exile with her biological father, Malcolm Merlyn. Now, to honor his fallen friends and family and protect the people he loves, Oliver must rededicate himself to his cause -- to become a beacon of hope for those most in need, and a weapon of justice against those who prey upon them. He is The Arrow. As the Emperor continues to close his iron fist over the galaxy, occasionally situations arise that he does not want to trust even to his notorious apprentice and right-hand man, Darth Vader. When the Emperor ventures out personally with Vader to handle a new political treaty, their journey lands them in the middle of insurgent action. Alone on an inhospitable planet, they must rely on each other, the Force, and their awesome martial skills to survive! Whilst a lot of people love the good guys, I have to say that I’m a big fan of the villains purely because they’re not constrained and can do exactly what they want. 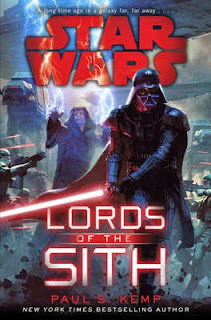 Here in the latest Star War’s title we get a book of Vader and one that really works well for me as a reader as I felt that Paul not only got the principle character down to a tee but brought him across in such a way that it made the book not only gripping but one where we see his full transformation to the darkside completed through the careful manipulation of the Emperor. It’s deliciously dark and when added to the overall arc is a title that works wonderfully well for me. Back this up with good dialogue as well as a cracking pace and all round I was a more than happy reader. With Witcher 3 [set to be released] on 19 May in the UK, epic fantasy author Marc Turner looks at Skyrim and Dragon Age: Inquisition to determine the elements that go into making the ‘perfect’ fantasy RPG. If I said the words ‘fantasy role-playing video game’ to you, which titles immediately spring to mind? For me, the two most enjoyable of recent years have been Skyrim and Dragon Age: Inquisition. 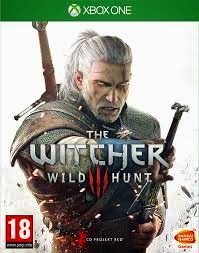 Skyrim and DA:I set the standard by which Witcher 3 will be judged, so where did those two games go right and wrong, and how might Witcher 3 compare? Everyone who enjoys fantasy likes to lose themselves in a new world. When it comes to role-playing game-worlds, size is important. I don’t have any statistics to back this up, but Skyrim’s world felt a lot bigger than DA:I’s. Skyrim is an ‘open world’ game, which means that you can go where you like, when you like, and choose how and when to approach missions. Set off in a random direction, and you’ll always find something interesting. Until it kills you, that is. DA:I on the other hand is a bit more linear, in that the world is split into regions, and there are some areas you can only visit later in the game, either because they’re not available or because the enemies are so strong. Whilst you could never call the world in DA:I small, it doesn’t quite have the scope of Skyrim. In DA:I’s favour, you get more variety in landscape (from a forest to a bog to a desert). But I think it’s fair to say most people don’t play a game to admire the scenery, and I actually preferred the continuity of theme with the frozen tundra of Skyrim. Witcher 3 is going to follow the Skyrim open-world model rather than the DA:I regional one. The world is going to be even bigger than Skyrim’s – around twenty per cent bigger, in fact. Developers claim it will take two hundred hours to complete everything in the game. Two hundred hours! But who needs sleep, right? With twenty-four hours in a day, you could be finished in just over a week . . .
Skyrim and DA:I took very different approaches to companions. In Skyrim you can enlist a companion, but I spent most of my time travelling alone. In DA:I you can travel alone, but I spent most of my time with companions. So which is better? No sitting on the fence from me, I’m going to come straight out and say . . . both? In DA:I, the conversation of your companions can make travelling around so much more enjoyable. At key points in the story they give opinions on your decisions. From time to time they engage in banter. Sometimes it’s amusing, sometimes it’s informative, but it’s always entertaining – provided you pick the right followers to travel with, of course. In Skyrim, by contrast, your companions are not so much people as walking pieces of furniture. They say next to nothing. For example, the contribution of your housecarl, Lydia, is generally limited to a warning of ‘I’ve got a bad a feeling about this’ just as a dozen giant spiders drop down from the ceiling. Thanks, Lydia, whatever would I do without your premonitions? That gave me a sense that I was really facing the world alone, but I liked that. I liked the emptiness and isolation of Skyrim. It made the game more dramatic, more menacing. From what I’ve seen, Witcher 3 will again be following in Skyrim’s footsteps in that you’ll be spending most of your time alone. As to whether there are meaningful characters that you can team up with, only time will tell. One of the aspects I liked about Skyrim was how much variation in gameplay you get from playing different character classes. The experience of playing as a two-handed warrior is completely unlike that of playing as, say, an assassin. And if you want to blend the classes a little, you can do. Sword in one hand and spell in the other? No problem. On the other hand, I thought the combat in DA:I was far more enjoyable, especially the dragon fights. 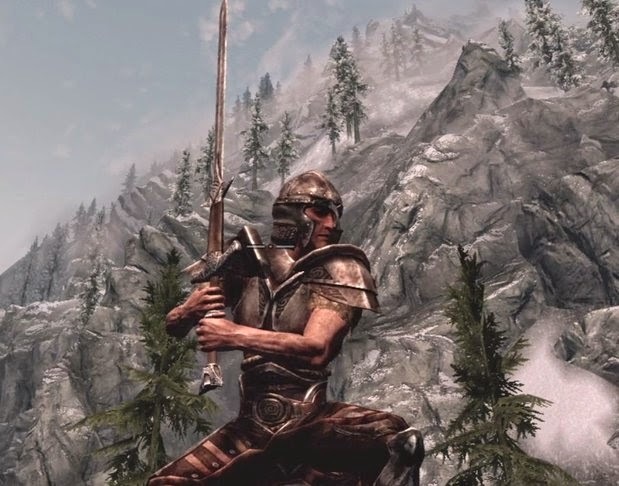 In Skyrim, when you reach a certain level, killing a dragon is no more taxing than drawing your sword. In DA:I, it’s far more challenging (even if one or two of the character classes are overpowered). You need to choose the right companions and the right tactics – and it can still go horribly wrong. Plus the dragons in DA:I ‘feel’ more real. 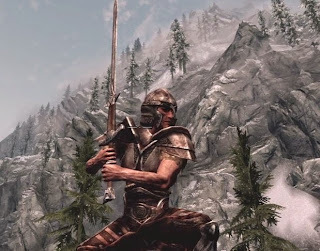 In Skyrim the dragons just stand there and slug it out with you, whereas in DA:I the dragons will flinch when you land a powerful hit, swat you with their legs and tail, and so on. In DA:I, a dragon fight is an epic encounter. In Skyrim, it can become little more than a nuisance. What will Witcher 3 offer? No dragons for a start, I think. On the plus side, though, there will be a huge array of monsters, and it’s said that when you go hunting them you have to pay attention to what time of day it is and even to the weather. That suggests a complexity of gameplay that is very far from the ‘hack and slash’ found in some titles. Many of the same charges could be levelled at DA:I, I suppose, but at least there were a couple of epic moments along the way. Like the fight to save Haven, for example, and the time when you find Skyhold in the mountains and are appointed as Inquisitor. As to what Witcher 3 will deliver, we will have to wait and see. 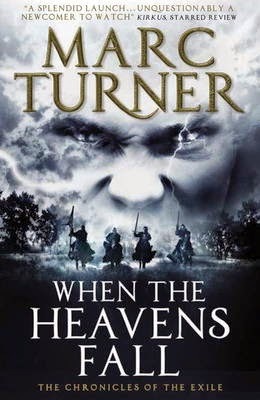 It certainly seems to have all the right ingredients for a great storyline: a main character with supernatural abilities; a backdrop of war; a quest to eliminate a powerful enemy called the Wild Hunt. But those ingredients by themselves are not enough. It’s what the game-makers do with them that counts. Great worldbuilding only takes you so far. A great story will make the difference between a fun game and a memorable one. What I have heard about Witcher 3, though, is that it is said to have thirty-six different ending variations. The one you get depends on the choices you make in the game. So I guess if I’m not happy with the ending, I’ll only have myself to blame . . .
Marc Turner was born in Canada, but grew up in England. His first epic fantasy novel, When the Heavens Fall, is published by Tor in the US and Titan in the UK. You can see a video trailer for the book here and read a short story set in the world of the novel here. The short story has also been narrated by Emma Newman of Tea and Jeopardy fame, and you can listen to it free here. Marc can be found on Twitter at @MarcJTurner and at his website.